1.25 inch hub for RV power box overhead feed. Attaches to top of RV power box with 4 bolts. Only sold with our RV power boxes. They only fit our boxes. 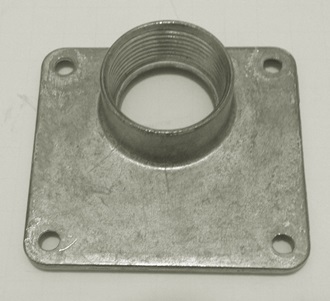 Go to top of this 1.25 inch Hub for RV Power Box Overhead Feed page.